At the launch of its Horizonext program, Tata revealed a whole range of updated car, and a pledge to improve the customer experience with the brand in every possible way. The car maker showcased its CNG range of cars, dubbed the eMax series, which included the Tata Nano CNG eMax, the Tata Indigo eCS CNG eMax and the Tata Indica CNG eMax. The Tata Nano CNG eMax was launched in India earlier in October 2013, and now reports suggest that Tata is getting ready to launch the 2014 Tata Indigo eCS CNG eMax in November 2013. The 2014 Tata Indigo eCS eMax will be launched in the middle of November 2013 according to a report on Team-BHP.com and will be targeted at the cab market and those who are looking to buy a compact sedan with very low cost of running. The car will be powered by a 1.2-litre petrol motor, which when running on petrol produces 64 BHP/ 100 Nm and when running on CNG produces 55 BHP/90 Nm. The main attraction of the 2014 Tata Indigo eCS CNG eMax will be its dual-fuel capability and the benefits that the system offers. Users will be able to switch between fuels on the go via a button on the dashboard. A 10-Kg capacity CNG tank and a 42-litre fuel tank will be available. With a claimed CNG efficiency of 24 KMKG and petrol efficiency of 15 KMPL, the car will have a combined capacity of about 850 KM. The cost benefits associated with the system will also be a major attraction for buyers, though the limited availability of CNG in India means the car will be sold in select cities only. As per the rates on 26th October 2013 in Delhi, CNG costs about Rs. 46/Kg and petrol costs about Rs. 72/litre. Filling both the tanks in the 2014 Tata Indigo eCS CNG eMAX will cost about Rs. 3400 and the per km cost comes to about Rs.4/KM. If Tata can keep deliver on the promise of making the car better, the Indigo eCS CNG eMAx could be a very good option to buy. And knowing Tata, expect the Indigo eCS CNG eMAx to be priced competitively. 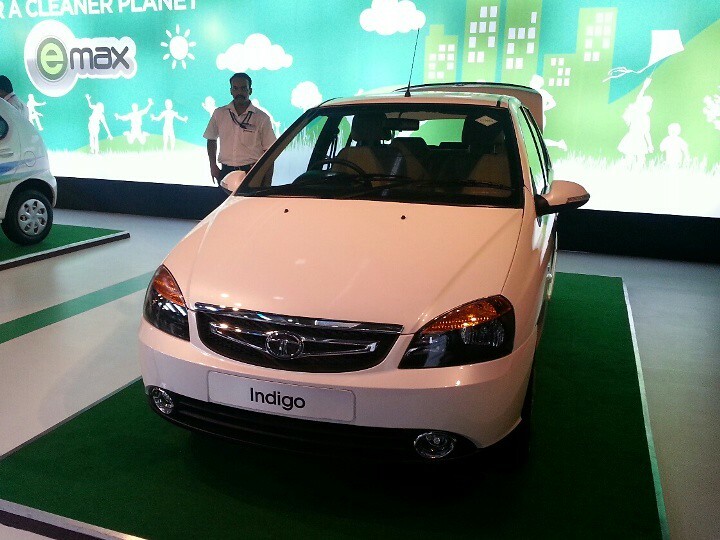 What do you think of the 2014 Tata Indigo eCS eMax? Let us knwo in the comments section below.